Much like you, your house sometimes needs a little TLC. This care normally is contingent on whether you are having guests over for the holidays or hosting a big event. 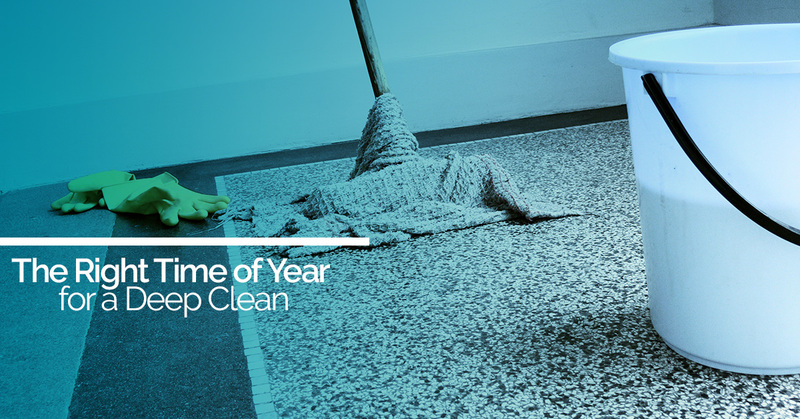 But when is the best time to give your house a good deep clean? 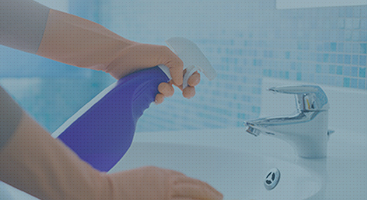 The following is a list we have compiled to help you to coordinate your home cleaning. Spring is as synonymous with cleaning as it is with rain showers and budding flowers. Every year millions use the season of spring as a rejuvenation of sorts. This means that they take the time and revive their living space with a little deep cleaning. During this “spring cleaning” you have the opportunity to clear out unnecessary items and give your home the proper shine it deserves. It actually has been studied that a clean home improves mood and positively affects your health. So why wouldn’t you give your home a deep clean? Valentine’s Day is a very special day for couples. It is a day when couples express how much they love each other. During this holiday, a clean house could only help set the mood. Dirty or unkempt houses have been proven to stress out residents. Why add stress to a day of love and appreciation? By getting your house cleaned you will be able to relax in a gorgeously cleaned home and your sweetheart will be immensely appreciative for your forward thinking. Thanksgiving is when we gather with our friends and families to celebrate and give thanks for all we have. However, your thanks might be altered based on the amount of dirt and grime in your home! Deep clean your home for the Thanksgiving holiday. You and your guests will be thankful you did! No matter what you celebrate during the winter months, family gatherings are a hallmark of the holiday season. So no matter your religion, it is always a good idea to deep clean your home before your guests arrive. No one ever wants to have their home go down in infamy as being dirty during a holiday party. Keep your home clean and your reputation intact! Birthdays mark our aging and the stages in our lives. Your home is a very important step in your life, why wouldn’t you want to keep it clean? Most often, if you are celebrating your birthday you will host a party. By deep cleaning your home, you can make the best impression and put your best foot forward for the next year of your life. Unfortunately, bed bugs exist. They are tiny, parasitic insects that feed on blood, specifically human blood. Like little vampires they scurry in the dark portions of the night and feed on you when you’re least expecting it. They enjoy soft homes such as sofas, mattresses, or other soft furniture. They are highly sensitive to light so they do not come out during the day. However, they like to feed one hour before sunrise. You will be able to tell if they have fed on you if you notice small groupings of bites. Bed bugs feed for two to five minutes and leave behind red bumps on your skin. You will not be able to notice the bites until after a few days. Bed Bugs also only feed once a week, so it is important to map out when you are noticing your bites. One measure to help eradicate bed bugs is by cleaning your home. Bed bugs are attracted to heat and can hide in anything. By cleaning your home, you give them less places to hide. Also, if you have a bed bug problem, it might be wise to call a good bug killing service. Bed bugs can survive for months without food and can hide in places that even the most skilled house cleaner cannot find. Anniversaries are a time to celebrate your life as a couple. More importantly, it is a time to focus on each other — not the overwhelmingly dirty state of your home! By having a clean home, you both will be able to reflect on the good years. Having a clean home will allow you both some peace and the ability to look forward to more happy years together. When we move we are expected to remove all of our items from our old home to make room for the new buyers. However, before anyone can purchase your home, they must go inside to look at its overall state. A good deep clean from a maid service will allow you to keep your old home clean for inspectors and various open-house occasions. That means you can sell it faster and make your moving transition a lot easier! No couple is without faults. Arguments happen, but when they do it is how a couple recovers that marks the strength of their relationship. When a home is disheveled, attitudes shift from peaceful to stressful in a matter of moments. The cleanliness of your home has monumental effects on your attitude and the health of your relationship. By hiring a housekeeping service, you won’t even need to lift a finger to ensure the continual happiness of your relationship. Before heading off to a fun vacation it is a good idea to deep clean your home. You might not think it would be important, but it is. When you’re on vacation, having a clean home means you won’t have to worry about dirty dishes, counters, floors, or bathrooms when you get back. You can relax as vacation was intended! By hiring a home cleaning service you can ensure a worry-free vacation and an immaculate home to return to! There are many more reason to keep a home clean. However, these are the main reasons for a deep cleaning. If you are interested to improve the cleanliness of your home, look no further than Outstanding Cleaning Services! Instead of having to clean your home yourself, our home cleaning services will have your home sparkling for the important moments in your life! If you live in the Cambridge, Massachusetts, and would like to deep clean your home, contact us!